WestJet is showing some pretty ridiculous prices from Vancouver to Toronto for $192 CAD roundtrip including taxes! 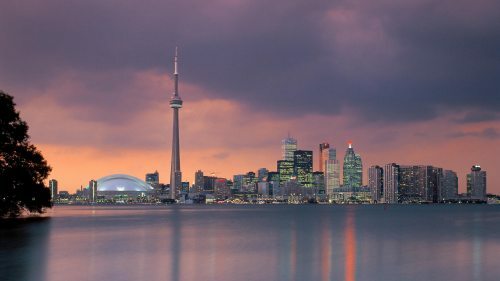 You can also find non-stop flights from Vancouver to Montreal for $190 CAD roundtrip. I've also seen some flights from Vancouver to Halifax for $398 CAD roundtrip. 14 Responses to "Vancouver to Toronto or Montreal (or vice versa) - $190 to $197 CAD roundtrip including taxes! | non-stop flights"
I booked one for April. Thanks so much Chris! Incredible. Even a "free" points costs not much less than that. Booked YVR-YUL Feb 2-6. Thanks Chris! No problem! I'm glad there were people up late enough to see them. Hopefully they are still there in the morning. Thanks, booked 2 flights in Feb! Are they already sold out? I cant seem to find anything? Booked 2 flights to Montreal in Jan! thanks so much! Toronto has sold out I think. Booked my flights at 3am. They were selling out as fast as I could type. Thanks Chris! Your email alert and my insomnia paid off. pretty good deal eh! have you consider the snow on those months (jan-feb)?hope no flight cancellation, like I experience last year. Cheers! I missed out;( wanted the deal for Toronto since my daughter turned two already. Booked instantly last night around 2am and it worked! Going to have a great university reading week now! Nothing that cheap is available anymore, mostly showing flights around 250$ per segment, total around $500 for round trip. Yes, Chris posted an update at the bottom of the blog post mentioning they are al gone. From Vancouver - $769 CAD !!!!!!! Now... what to do in Toronto or fly down to New York! !